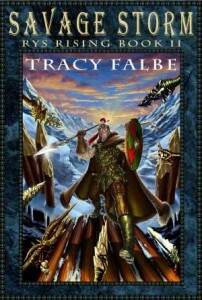 Continue the Rys Rising series with the fast-paced sequel Savage Storm by Tracy Falbe. Ebook and paperback available. Filled with righteous rage, Dacian and Onja defend their newly liberated home from tabre attack. No longer hobbled by dreams of rys and tabre unity, Dacian crafts enchanted weapons and trains the rys to fight. Onja’s love fills his emptiness, and together they reach toward even greater magical powers. 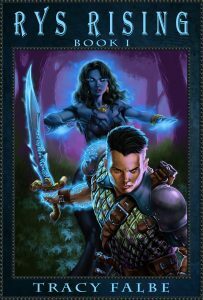 As the rys and tabre clash, Onja’s faithful warrior Amar faces many challenges while raising an army for her. Can he dominate the Overlord of the Kez? Will Amar expose himself to the carnal charms of the Shamaness Loxane to gain a new ally? Can he give up his lust for Princess Demeda and ransom her to the Temulanka Tribe as his duty demands? While he sows war across the tribal kingdoms, Onja also enthralls the savages of the Nufalese frontier and unleashes their brutal hordes upon vulnerable settlements. Desperate to defend his people, Cruce Chenomet and his comrades trade wenching and drinking for grueling battles. His passionate dalliance from the year before unexpectedly becomes a vexing relationship. 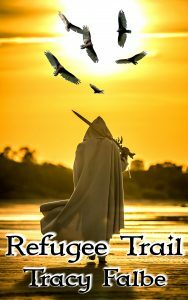 Bombarded by threats both to his body and heart, Cruce quickly loses hope but keeps his courage as he confronts the savage storm. This entry was posted in Ebooks, Paperbacks. Bookmark the permalink.